There is more to loyalty than just points. The bar has been raised for loyalty programs: discounts and rewards are now table stakes. Emotion is vital to brand energy. Emotion is the greatest contributor to brand energy over salience and fit across retail, quick serve restaurant and travel verticals. Emotion and loyalty program membership specifically correlate to brand energy. Loyalty programs pay off: loyalty has a considerable impact on brand energy and emotion. Tap into specific emotions to activate brand energy. Emotion is the single largest predictor of how a customer connects to a brand; however, not all emotions are created equal. 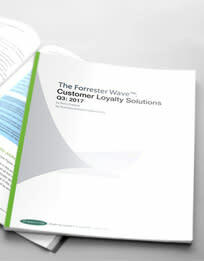 Plug Into The Emotional Power Of Loyalty To Supercharge Brand Energy, a May 2018 commissioned study conducted by Forrester Consulting on behalf of Brierley+Partners.